Rubin has been in cross country and track and field since the sixth grade. What started out as a way to improve in another sport has become one of his biggest passions. In cross country, Rubin runs 5ks, and in track and field, the 1600 (1 mile) and 3200 (2 miles). Rubin enjoys the overall team aspect of both sports. Danny performs his routine stretches with his fellow teammates by his side. “We have a really fun team, I love all the teammates. I love the trails back here and going on mileage runs. And I love having good races,” Rubin said. 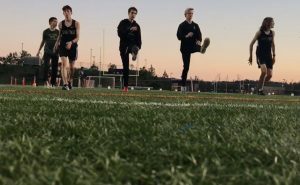 Rubin would not be where he is without his coach, Jacob Feiring, who is more than honored to be a coach for such a well-rounded runner and person. As for his running career, Feiring says that it is not even close to being over. 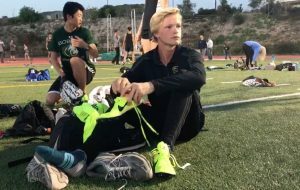 “In high school, he is right now ranked third in the nation for sophomores, last year he was fifth in the nation for freshmen, so he will probably continue that trend and be one of the fastest kids in the nation for the two mile by the time he is a senior,” Feiring expressed. Danny put on his game face, and shoes, as he prepares for his race. Feiring has and will be proud of Rubin every step of the way, and will always remember a special moment with him from Rubin’s freshman year on the team. Rubin is also a part of Young Life at the school and outside of school. Rubin wants more and more people to feel like they can get involved and be a part of the amazing group they have. Danny huddles in with his close friends from Young Life, after a night hike, whom he helps mentor with his dad. “To get involved with Young Life you don’t have to do anything, just come to club and hang out with everyone. We have a bunch of leaders who would love to talk to you and get to know you,” Rubin expressed. 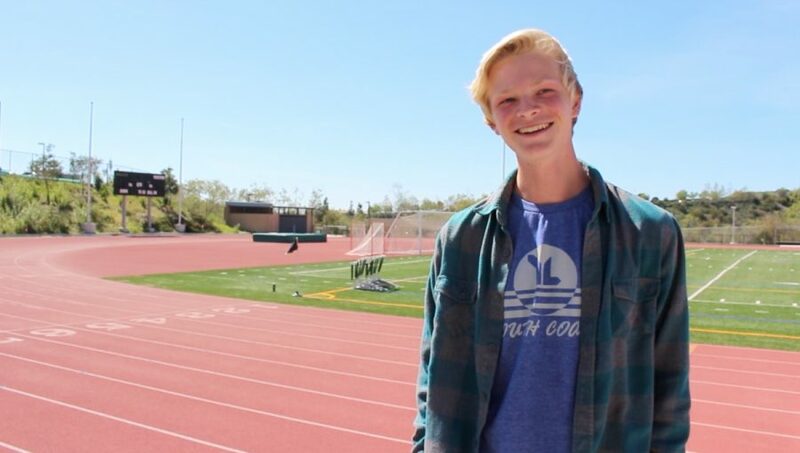 One of Rubin’s close friends, Harrison Logan, has been involved from the start not only due to what Young Life is about, but who Rubin is as a whole. Overall, Rubin has running in his blood and kindness in his heart. 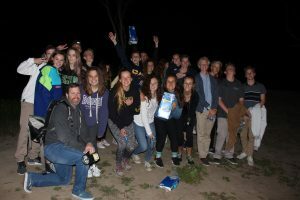 “A lot of people think of me as the ‘fast runner guy’ and that’s cool and everything, but I also want them to think of me as the guy who invited me to Young Life, and who get them into a great group and ended up having a great time in high school,” Rubin ended.